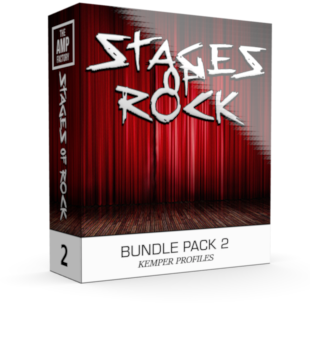 All the profiles from the 2nd pack from TheAmpFactory, This pack is entitled “Stages of ROCK” – as a lot of these amps are found in special recordings & stages from special players!…read on to find out more. Some of these amps are simply glorious. – now, the question, does the Amp make the player, or the player make the amp… that’s the question, and in this pack there are various amps that have made a lot of players….or the player made the amp. either way, it sure is fun…… well lets make this easy for you now!.. Sweetspots captured from clean to fully cranked and everything in between. Various Stomp boxes also captured, from Timmy pedals, to Tubescreamers. Seeking to re-create the sound of: – Bogner goldfinger, Bogner Uberschall, Cornford Carrera, Divided by 13 FRT, Diezel Herbert, Diezel VH4, EvilRobot PhilX, EVH5150, Friedman Browneye, Fender Bassman 59, Fender Twin, Fender Vibroking, H&K Statesman, Marshall 1987X, Marshall AFD, Orange RockerVerb, Peavey 5150, Splawn StreedRod, Supro 1624T, ToneKing Falcon, Original Trainwreck, Tworock 35, TwoRock Matt Schofield & Vox Topboost.